During supply of goods and services within the State, Central Goods and Service tax (CGST) and State Goods and Service tax (SGST) will be applicable. 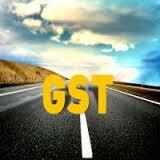 In case of inter-state transaction, Integrated goods and Service Tax (IGST) will be applicable. The Manufacturing states like Maharashtra, Gujarat, Tamil Nadu, etc. will ensue substantial loss due to destination based principle.This is because, in origin based tax system i.e. present tax structure, tax is levied and collected by the originating State while in destination-based tax system, tax is levied and collected by the State who consumes it. It will directly affect the proceeds of the manufacturing State. Loss of Central Sales Tax (CST). Loss on account ofseamless credit in GST. Loss due to cross credit utilisation. CST,an origin-based tax, is collected at the time of sale or purchase of goods inter-state @ 2%. It is levied and collected by the Centre and assigned to the States as per Article 269 of the Constitution. The Manufacturing States like Maharashtra, Gujarat, Tamil Nadu, etc. will ensue substantial loss due to destination based principle. This is because, in origin based tax system i.e. present tax structure, tax is levied and collected by the originating State while in destination-based tax system, tax is levied and collected by the State who consumes it. It will directly affect the proceeds of the manufacturing State. Suppose a glass manufacturer in Chennai sells his goods across the country, he will charge CST @ 2% which will be given to Tamil Nadu Government irrespective of the place of sale. 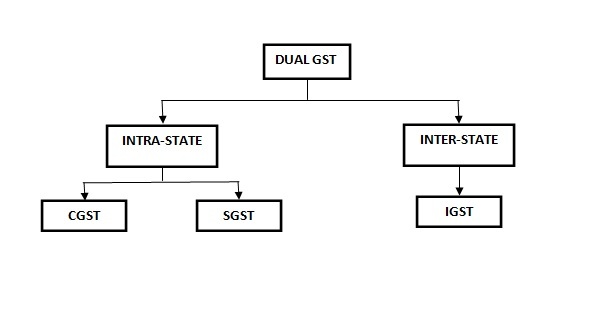 Under GST, IGST will be introduced in place of CST for inter-state transactions. Moreover, GST is consumption based tax. This will cause loss of revenue to originating/manufacturing States. 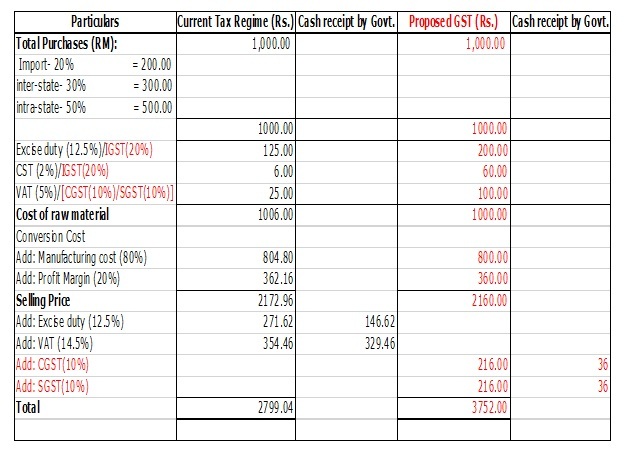 2.Loss due toseamless credit in GST. Under the current regime, there is no credit available on CST. 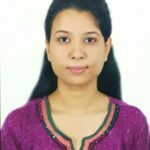 Therefore, the amount of CST forms part of the cost of goods purchased which givesscope for Government to charge tax on total cost (including CST) which in turn increases their revenue. Whereas in GST, ITC is available on inter-state transactions which indirectly reduces the cost and gives no scope to levy tax on cascading value.Moreover, in intra-state transactions i.e. transactions taking place within the State, the State Governmentwill get less tax revenue as compared to present tax structure.Therefore, the seamless credit envisaged in GST is likely to cause considerable revenue loss to the respective State Government. 3.Loss due to cross credit utilisation. Under the Current regime, the manufacturer can avail and utilise CENVAT credit on inputs, input services and capital goods against output tax liability. Moreover, input VAT liability is utilised against the output VAT liability. This means that CENVAT credit and ITC cannot be utilised against each other. For instance, there is a manufacturing unit in Tamil Nadu which has CENVAT credit balance as well as ITC. As per the present tax regime, if the manufacturing unit does not have sufficient balance in his CENVAT credit account to pay his output tax liability like output Excise Duty or Service Tax, then, hemust pay in cash to fulfil the output tax liability. He cannot utilise his ITC against such output liability. There is no cross credit utilisation. On the contrary, under GST regime, there is no difference between goods and services. As a consequence, the concept of CENVAT Credit is phased . Partial cross credit utilisation is available. This means that, the manufacturing unit can utilise the ITC credit in a priority order mentioned above. This will affect the revenues collected by the State Governments. Base year 2015-16 will be taken for calculating the revenue of a state. Secular growth rate of 14% would be taken for calculating the likely revenue of each state in first five years of implementation of GST. States getting lower revenue than this will be compensated by the Centre. Furthermore, the compensation to States would be limited to taxes subsumed into GST. It is suggested by the GST council that cess can alsobe a source to create compensation fund to help to compensate states for any loss of revenue. But nothing has been decided yet. However, if such cess would be charged then the very essence of GST model will exhaust. As initially it was decided to subsume cess into GST. Moreover, the State’s fear regarding the loss of revenue is very much valid which is discussed above. In my opinion, there are certain scenarios wherein the Central Government can utilise the unclaimed funds in IGST account to compensate the State’s loss of revenue. Suppose there is an interstate transaction between Tamil Nadu and Maharashtra, an IGST will attract on such transaction. This IGST will be levied and collected by the Centre and apportioned among centre and respective state. If therespective State Government does not claim its share of IGST on account ofits unintentional ignorance, then such amount will be there with centre as unclaimed fund. The Model GST law is silent on such scenarios. The Central Government has to be accountable in remitting the state share putting aside the political differences. It might be possible that such kind of unclaimed fund can be utilised for compensation fund to compensate loss of states. ‘A’ who resides in Chennai places an order for a laptop on Flipkart and based on the vendor chosen by “A” the supply is from Gurugram depot of the Vendor. This transaction attracts IGST being an inter-state transaction. Since the purchase is for personal use, no ITC can be claimed. As per GST system, there is no way Tamil Nadu Government will be aware of about this transaction. Therefore, the State’s share in IGST will remain unclaimed. Such unclaimed fund may be utilised to compensate the revenue loss to the State. In a nutshell, the idea to charge cess in order to compensate States for their loss of revenue needs to be rejected outright as the unclaimed fund in IGST account will be suffice to compensate the State Government for their losses on account of introduction of Goods and Service tax. This implies thatthere will be no burden as such on Central government in respect of creation of compensation fund. Therefore, the State Government need not be apprehensive about the loss of revenue as the Central Government has enough resources to compensate the same. The author is working on quantifying the loss of revenue to State vs the unclaimed portion of ITC to prove that there is no necessity of levying cess for the purpose of creation of compensation fund. Tags: GST, Compensation Scheme, Destination based tax, Implications of GST, Cess.